As 2016 kicks in and our thoughts turn on how to save money, one of the forgotten household bills is that of printer ink in Dublin. Many homes across Ireland spend a huge amount on printer ink in Dublin during a typical year, the bigger the household with school going children the bigger the bill for ink. Most families now have two printers on the go with one not being sufficient to satisfy the needs of those at secondary and grammar schools with the printing of projects and assignments. 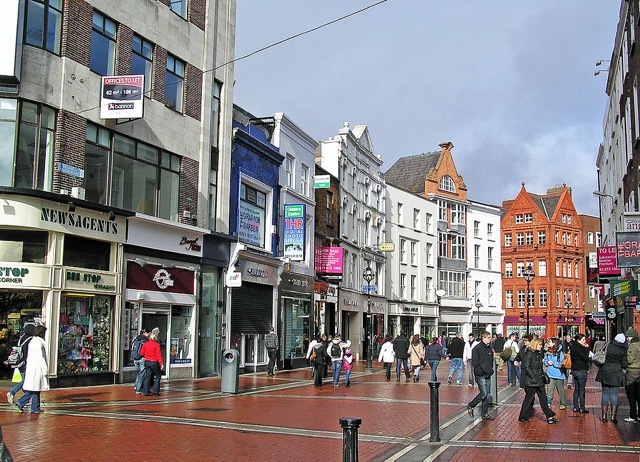 The first port of call for many people for their ink cartridges in Dublin is the local stationery or ink shop and of course you can expect to pay premium prices for your ink there. With Dublin ink prices being what they are you can expect to pay as much as €60 for a set of original brand printer ink! It’s scandalous of course, considering that this may be more than you paid originally for the printer. The key to buying the best value printer is to do your research first with regard to the running costs of the printer. This is essentially the cost of the printer ink in Dublin for your printer. Before you make the purchase find out if the printer will accept a compatible version of the printer ink cartridge as this can be where there are massive savings on ink cartridges to be made. Indeed it’s possible to buy some high quality compatible ink cartridges online for as little as €1 each! There are some brands of printers that are more willing to accept the compatible cartridges than others. For example, it is our experience that Epson, Brother and Canon printers accept the non-original version of the cartridge a lot more readily than HP. Epson are particularly good value and with the ‘small in one’ printer range – printer/copier/scanner – these printers are great value to buy at under €100 and are cheap to run. They are ideal for the home user and the ink cartridges are broken down into four or six cartridge colours. The big advantage with this is the ability to replace a single cartridge at any one time and not have to replace a whole set. Once you have done your research and bought your printer, where to buy your cartridges is the next important key in the running costs of the printer. 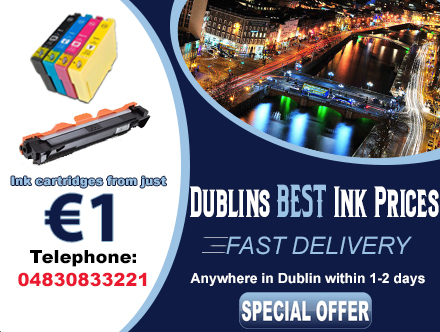 Online shopping for your cartridges is by far the best way to find the good value high quality ink cartridges in Dublin as most Irish online suppliers offer low cost delivery within 1 or 2 days to home or the office.